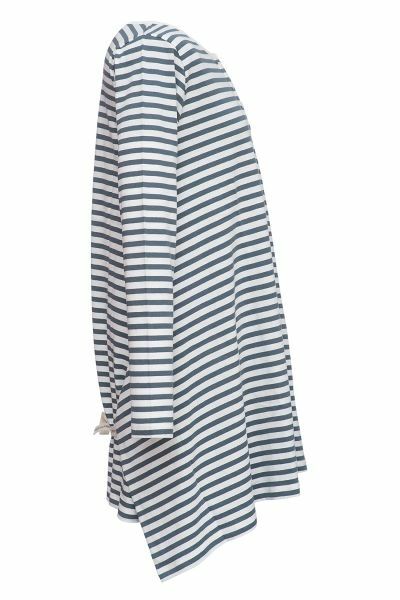 The Stella tunic in teal & ivory stripe is an egg shaped tunic dress that ends just around the knees. It has a tie detail to allow you to wear the dress in a few different ways. Made from a lovely heavy jersey for the winter months.